City Councilmember Brad Lander addressing attendees of the Department of City Planning’s pen house on February 6, 2019 at PS32 on Hoyt Street to discuss the draft zoning proposal. At P.S. 238 on Hoyt Street in Gowanus, an empty basketball gym quickly became packed with dozens of residents and stakeholders Wednesday to see the presentation held by the Department of City Planning on the draft rezoning proposal for Gowanus and its waterfront. The city’s plan for a orderly evening of presenting the draft rezoning proposal with each involved city agency present was disrupted by dozens of members of the Gowanus Neighborhood Coalition for Justice (GNCJ) who held their own presentation on how the city’s draft rezoning proposal did not address their concerns after years of participating in the city’s engagement meetings with the community. The GNCJ said it participated in DCP’s engagement meetings for over two years and the groups’ priority from the beginning has been to fix unsafe conditions in public housing, to provide equity and environmental justice for Gowanus residents. GNCJ said the city had not heard its concern at all and the evidence was in the draft rezoning proposal where their concerns had not been addressed. 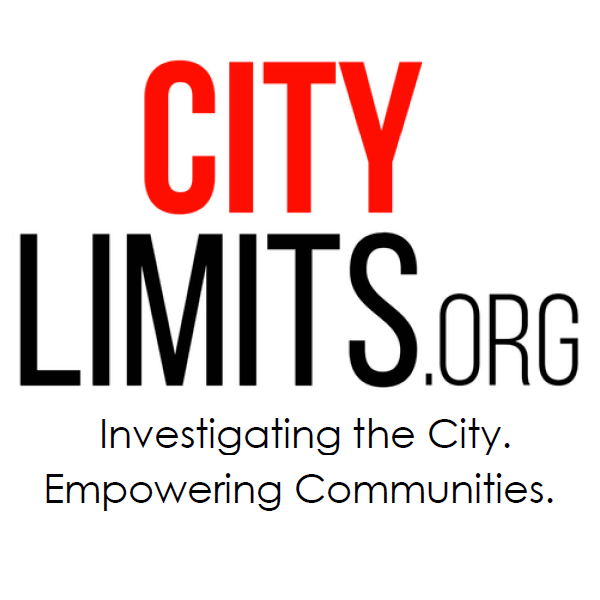 In their demand, GNJC asked for rezoning plan that specifically addresses racial and economic justice, protects public housing and its residents, creates real affordable housing, protection from displacement, promotes environmental justice, celebrates the culture of the community and protects local businesses and industry of the area. As parts of the crowd chanted, “The Gowanus plan is incomplete, City Hall take a seat” and “Before you rezone, fix our homes,” DCP Brooklyn Director Winston Von Engel addressed the room, telling them their concerns would be answered in detail during the community board meeting. Kelly chimed in to confirm the information. From NYCHA, director of the Office of Intergovernmental Relations, Brian Honan also spoke to the residents and protestors about their concerns. 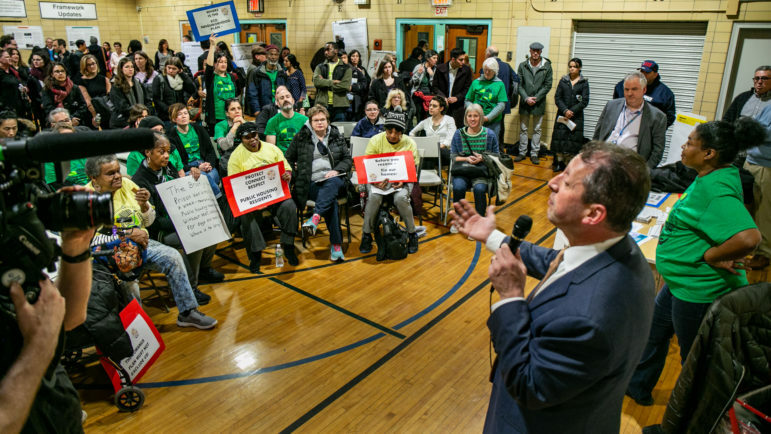 But the crowd did not calm down until Councilmember Brad Lander rose to say he shared some of the same concerns the GNCJ had about the draft rezoning proposal. The draft Gowanus rezoning proposal spans an estimated 80 blocks bounded by Bond Street to the west, Baltic Street to the north, 4th Avenue to the east from Pacific Street to 15th Street and cuts off near Hamilton Avenue in the South in the Southwest Brooklyn Industrial Business Zone. The plan is slated to bring an estimated 1,000 new residents into the area and could create opportunities for new affordable housing. In residential areas, such as Warren Street, the city will take a closer look at the existing R6 zoning where buildings can range from a single story to 13 stories tall. In the upland area, surrounding parts of the Gowanus Canal, the city proposes a mixed-use zoning of medium to light manufacturing and residential buildings where buildings can reach up to 20 stories. At the vacant city-owned site, at the corner of Smith and 5th Streets, known as Public Place, the rezoning aims to facilitate redevelopment for affordable housing and complementary uses in conjunction with the Department of Housing Preservation and Development (HPD). On the Industrial Business Zone, DCP said they will continue engagement with business owners of the area, which includes bringing infrastructure improvements and broadband to the area. While residents and spectators watched the GNCJ impromptu meeting continued — in the back of the room another set of stakeholders ranging from local businessmen to architects took a careful look at the city’s Gowanus rezoning proposal. But Lander said on public housing and the IBZ the city was not even close to what the area needs. The city did not make the IBZ part of the plan yet but have told the Councilmember the rezoning will address infrastructure and maintaining the industrial character of the IBZ. “The main way I read what happened tonight is public housing residents are fed up and with good reason. One element of the Gowanus rezoning is to invest in public housing and we have said this from the beginning,” Lander said. Lander added the rezoning could go a lot further and wants to see more innovative plans for a more sustainable Gowanus. DCP will be holding another meeting on the Gowanus draft rezoning proposal on February 28, 2019 at 6:00 p.m. during Community Board 6 meeting. The location for the meeting has not been announced yet.